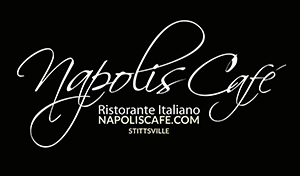 We are a family owned and operated restaurant, the Napoli name was established in 1973 when our parents operated one of Ottawas first and best pizzerias in the west end. This concept was taken one step further in 1993 when my younger brother and I along with our spouses branched out on our own and opened what is now dubbed as one Ottawas finest Café. We specialize in many exceptional dishes, Authentic Italian cuisine dominates our dinner menu with home made pasta, fresh veal along with a good selection of fresh seafood, steak, lamb. Lovely dinner with family. Everything was very nice! The food was excellent. We had cesar salad then the veal with prosciutto and provolone. Everything was super tasty. The veggies were cooked to perfection. I had enough for 2 meals. The atmosphere is classy but not stuffy, the place is clean and service was attentive, well paced. I wasn't thrilled with the drink I ordered. It was my choice, I'm sure nothing was wrong with it. Great food!! Great food atmosphere!!! Great meal, great atmosphere, great service! The Napoli's Team works hard to make sure our experience is 5* and it shows! service and food were excellent and my reservation was in place this time, unlike the first time that i used the online reservation tool. The tables are too close together and i could barely get into my chair due to the adjacent table. Food was delicious and service was excellent. Very slight negative was that the tables were a little too close together and the venue was loud ... but that's likely owing to its popularity, so completely understandable. I look forward to returning. The staff and the food are great, we will be back in the very near future. Your feature wine was excellent and went well with our meals. Our server was able to answer our questions about it. Service was attentive but not over the top. The restaurant was busy (Friday night) but everyone got attention. The greeting was very welcoming. As always it was excellent in every way. Awesome friendly service....and fantastic food ! Our experience was good, the food was well received by all except for the chicken parmigiana, which was on the dry side. The service was good and the cost was a little high.